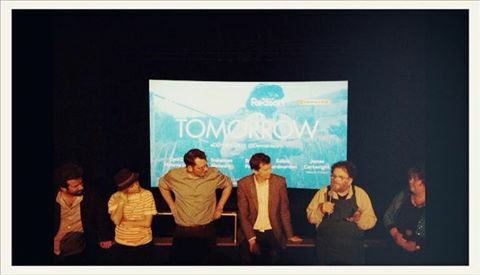 On Friday 1st July, at the Everyman Cinema in Muswell Hill, London, the film that has proven to be a phenomenon in France, ‘Tomorrow’ (or ‘Demain’) has its first formal screening. The film’s producers, Cyril Dion and Melanie Laurent, travelled from Paris to be there, as did some of those who appear in the film. 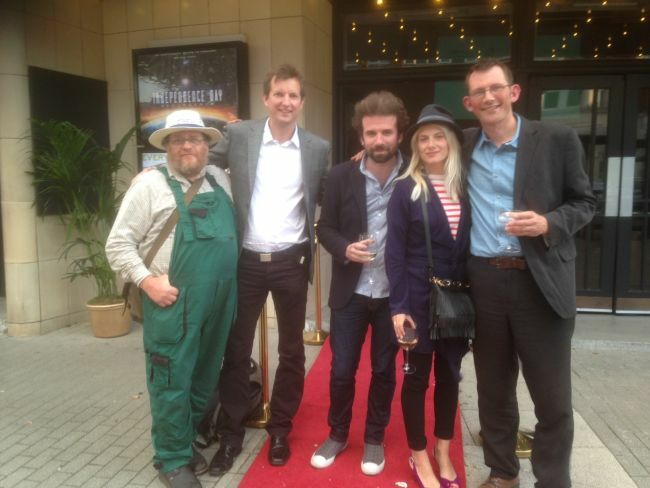 Before the film, attended by over 250 people, drinks were available and there was lots of mingling and conversation. The film was then introduced by Cyril and Melanie, who talked about the experience with the film in France and their hopes for it coming to the UK. After the film there was a discussion where Melanie and Cyril were joined by myself, Mary and Nick from Incredible Edible Todmorden and Mark Burton of the Bristol Pound. Members of the audience offered their reflections, and asked questions. Whether it led to a UK distributor coming forward, or whether we will be seeing a more grassroots-led distribution model will become clear over the next couple of weeks. Is Tomorrow available in the US yet? We want to screen it in Portland, OR!